Got the larger, deeper, longer sluice box hooked up. 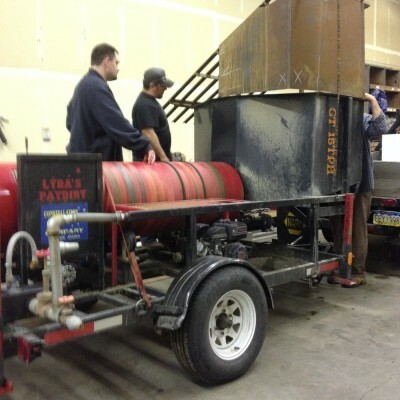 Wouldn’t you know it, our current pump system doesn’t put out enough water to run it. Oh well, not all experiments work, not my favorite part of mining. Back to the old sluice, running some dirt. Get a rock jam every once a while but otherwise works ok. 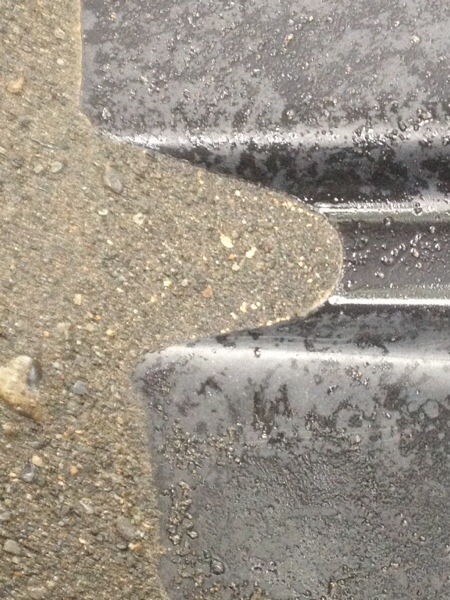 This entry was posted in Uncategorized and tagged gold, gold prospecting, Sluice box, Trommel on May 30, 2014 by terest test. Are you looking to upgrade your prospecting equipment this summer? 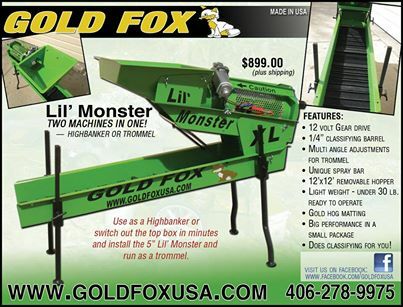 I would like to give a shout out to our good friends at Gold Fox USA. This video shows their newest product, the Lil Monster, and boy it looks like that name is right on. 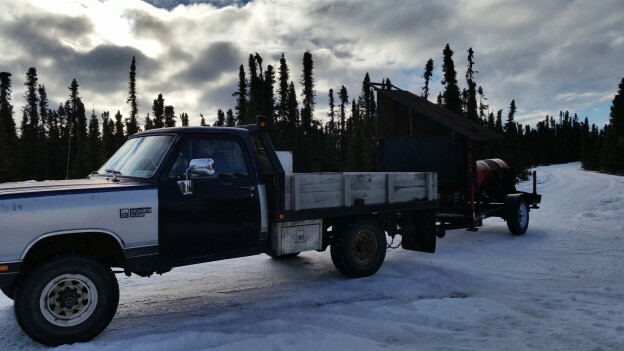 Wouldn’t it be nice to just shovel in to a rig like this rather than classifying and spoon feeding a sluice? Great American Made product. Check out their website at www.goldfoxusa.com Oh and did I mention you also get a sample of our Paydirt with every purchase from Gold Fox? 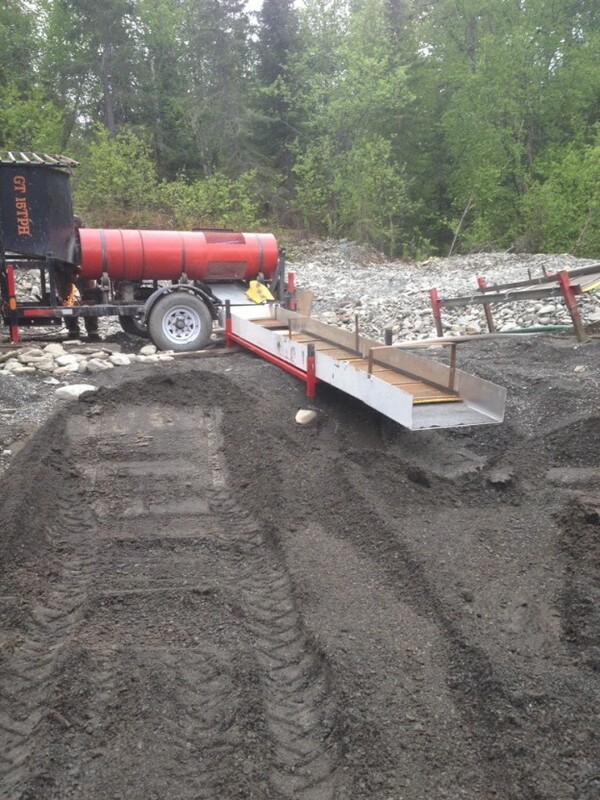 This entry was posted in Uncategorized and tagged gold prospecting supplies, highbanker, lil monster, mini trommel, prospecting equiptment, Sluice box, Trommel on April 22, 2014 by terest test. With the below list and a bit of determination you should be able to successfully find some gold. 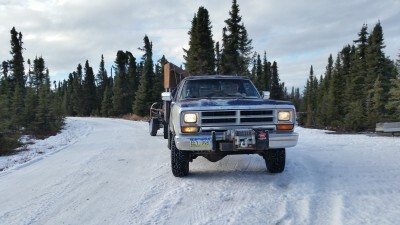 This entry was posted in Uncategorized and tagged baster, bucket, bug spray, gloves, Gold Pan, gun, Magnet, Map, pick, shovel, Sluice box, Snifter, vial, Waders on November 6, 2012 by terest test.